The Diocese of Seattle begins organized efforts to aid the poor with Bishop Edward O’Dea’s establishment of the Seattle Council of Catholic Women. The organization selected and supervised boarding and group homes for orphaned and abandoned children, and helped place children for adoption. In 1937, it became the Association for Catholic Childhood, an organization dedicated to supporting and raising funds for Catholic Community Services (CCS). 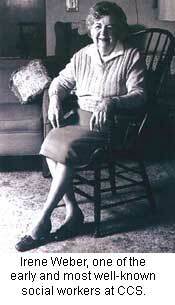 The Catholic Welfare Bureau is organized in Tacoma under the auspices of the Catholic Women’s Club. Its main focus is to assist homeless and orphaned children and single mothers. Catholic Charities of the Diocese of Seattle is officially formed by Bishop Gerald Shaughnessy to coordinate the administration of all the various works of charity in the diocese. Catholic Children’s Services of Catholic Charities opens offices in the Railroad Exchange Building in Seattle. Catholic Charities in Whatcom County opens offices in Bellingham. Catholic Charities in Tacoma is founded out of the Catholic Welfare Bureau and the Catholic Women’s Club. 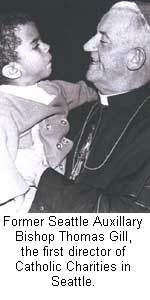 Catholic Charities of the Diocese of Seattle is incorporated according to the laws of the State of Washington. Catholic Charities opens offices in Everett. Catholic Charities opens offices in Vancouver. Archbishop Raymond G. Hunthausen establishes the Office of Catholic Charities as an umbrella group to administer the archdiocese’s social programs. The Archdiocesan Housing Authority (AHA) is founded and incorporated. 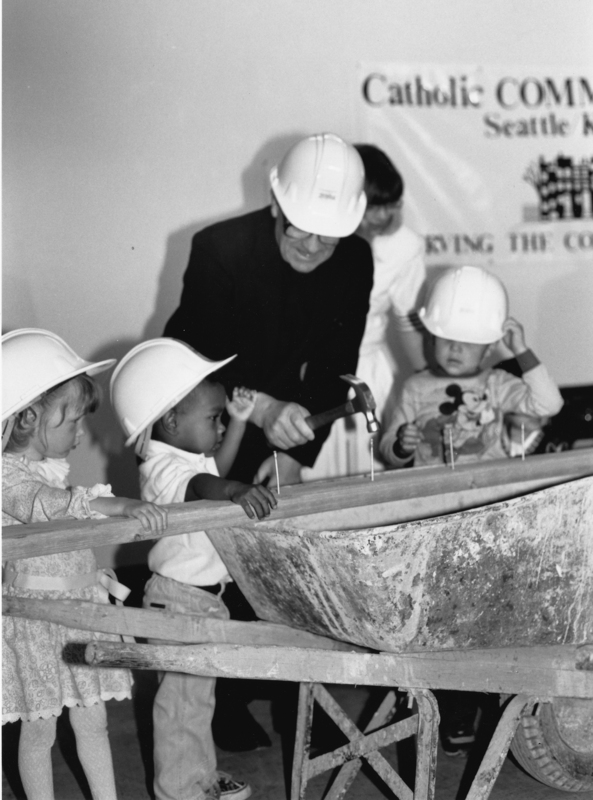 Catholic Charities is reincorporated as a separate corporate entity responsible for managing the social services and housing activities of the Church, with a Board of Trustees under the direct leadership of the Archbishop of Seattle. This allowed CCS to technically become an unrelated entity with the ability to move quickly, given the scope of its mission. The name of the corporation is changed from Catholic Charities to Catholic Community Services of Western Washington (CCSWW) to ensure a consistent image of CCS within the Archdiocese. The Futures Process is undertaken in response to accelerating changes in education, health care, housing and social services. The final “Futures Report” redefines the agency’s ministry and mission, further unifying the philosophy of service and standards of practice. Establish a System of Family Support Services. Develop a CCS Long-Term Care System. Develop a Professional Development Program known as CCS University. The Catholic Charities Foundation is established to further, promote and support the work of CCS and the AHA in the Archdiocese of Seattle. Archbishop Alex J. Brunett appoints an Episcopal Vicar for Catholic Charities. In the Church’s Canon Law episcopal vicars are appointed to exercise executive power over specific areas and to represent the bishop of a diocese to the persons and issues in these areas. Forming leaders in the tradition of Catholic Social Teaching and the Gospel call to service and justice is essential to the future of our organization. Programmatically responsive and financially secure multi-service agencies are essential to the quality of life in our communities. We will move beyond racism. We will focus our many agency capacities to further expand a more comprehensive response to meet the needs of our vulnerable elders. Affordable permanent housing should be available to everyone. Mutually beneficial collaborative relationships and partnerships extend our capacity to serve, reduce competition and improve quality for the common good. Providing creative and flexible programming for populations with significant needs will continue to be a hallmark of our agency. The Archdiocesan Housing Authority changes its name to Catholic Housing Services of Western Washington (CHS). The new name better identifies its Catholic tradition, and reflects the critical role of supportive services in CHS housing programs. During 2009, a reorganization of programs in CCS and CHS took place. During this reorganization, the shelter and transitional housing programs in CHS were transferred to the CCS King County Agency. The redefined focus of CHS became the development and management of affordable permanent housing with supportive services throughout Western Washington. Through its Community Development Center, CHS develops housing and supports community development activities for a variety of community-based organizations and advocates for social change to end poverty and its disproportionate impact on communities of color. Archbishop Alex J. Brunett appoints the Very Reverend Gary Zender as Episcopal Vicar for Charities and Chair of the Boards of Trustees for CCS/CHS. With the sponsorship of Archbishop Sartain, CCS/CHS partners with the Washington State Catholic Conference and the Intercommunity Peace & Justice Center to launch an advocacy initiative called Dialogue for Justice with the goal of strengthening Catholic advocacy on behalf of the poor and vulnerable. Archbishop J. Peter Sartain appoints the Very Reverend Gary Zender as Vicar for Clergy. The Very Reverend Gary Zender resigns as Chair of the Boards of Trustees for CCS/CHS. Archbishop J. Peter Sartain appoints Dennis O’Leary, Executive Director of the Chancery, to be Chair of the Boards of Trustees for CCS/CHS. Archbishop J. Peter Sartain appoints the Very Reverend Bradley R. Hagelin as the Episcopal Vicar for Catholic Charities and Chair of the CCS & CHS Boards of Trustees.